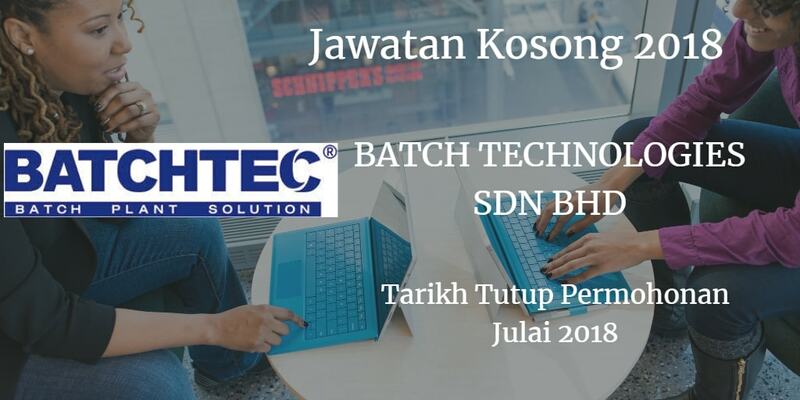 Jawatan Kosong BATCH TECHNOLOGIES SDN BHD, Johor, 2018. 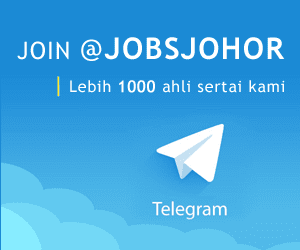 Syarikat BATCH TECHNOLOGIES SDN BHD Johor membuka peluang pekerjaan BATCH TECHNOLOGIES SDN BHD, Johor , terkini 2018 ,ini. Must be able to work at site & works extra hours. Any assigned duties by manager or immediate superior. To be in charge maintaining and fixing all electrical systems, lines data, cable, conduits, connections, isolation panels, and all other electrical infrastructure works related to the project premises. Electronic systems maintenance experience and knowledge is a definite plus. Minimum 1 years working experience in related work. Computer Literacy Experience in related field will be an advantage. Experience in related field will be an advantage. Handling imports documentation, dealing with shipping line and freight formalities. Knowledge in store keeping for inventory assistant.